This is the fourth and final instalment of the Fasnacht series. To understand what Fasnacht is all about, click here and here. You can also check out the post on a related event, the “Chienbäse”, here. This year, I managed to catch the Cortège on both Fasnacht Monday and Fasnacht Wednesday. The city was packed with people – it was as if the entire population of Basel Stadt and Basel Land had descended upon Marktplatz, Barfusserplatz and Bankverein. It was a colourful affair – the elaborate costumes, the lanterns, and of course, the seemingly endless shower of confetti coming from the playful Waggis. 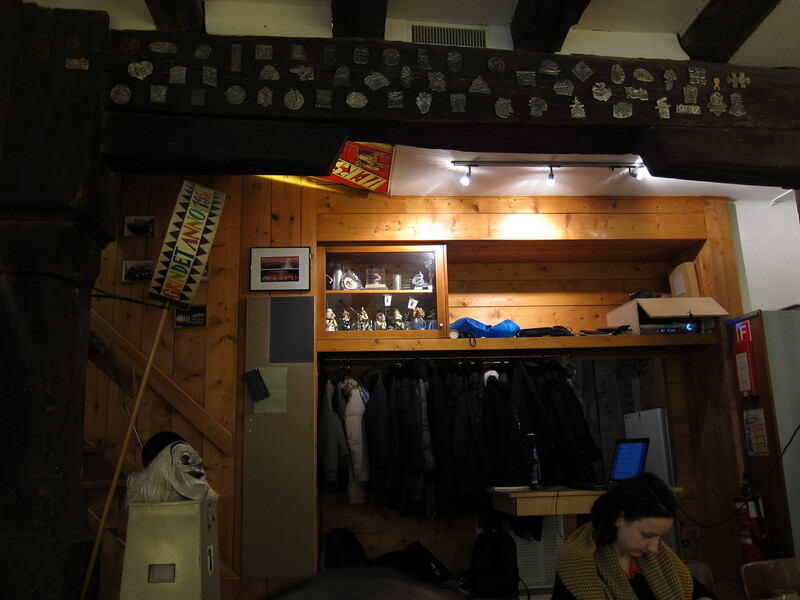 A week before Fasnacht, we had the opportunity to visit a Cliquekeller. A Cliquekeller is a clubhouse of sorts for a Clique (group), and is usually housed in a cellar of a nondescript building. 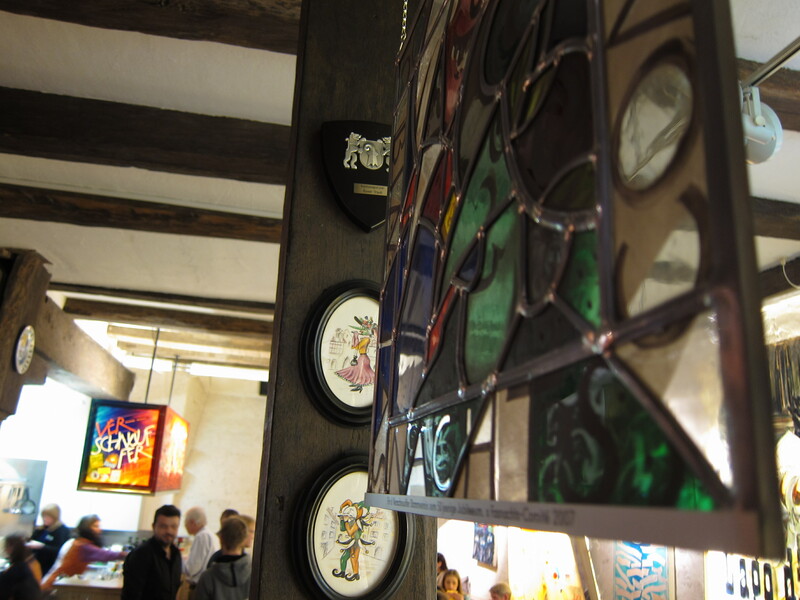 A Cliquekeller is not usually easy to find, and intentionally so, as the planning and preparation of each Clique’s “Sujet” (theme) for the upcoming Fasnacht is kept secret until the day itself. 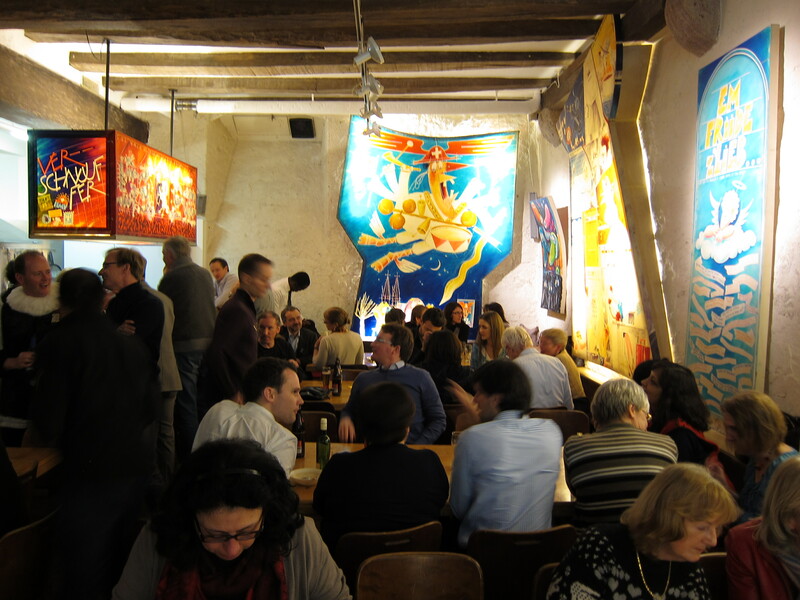 There are, however, occasions when the Cliquekeller opens its doors to outsiders, namely during Fasnacht itself, when food and drinks are sold as part of the festivities. Sometimes the Cliquekeller is rented out for private functions, as a means of earning side income for the Clique. At other times, the Cliquekeller is opened for a small group of outsiders and a member of the Clique gives a brief presentation about the history and traditions of Fasnacht. Mr. TH’s office organised such an event, and we managed to sign up for it.